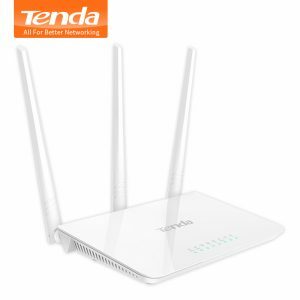 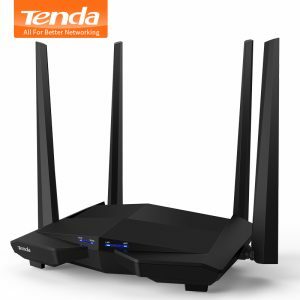 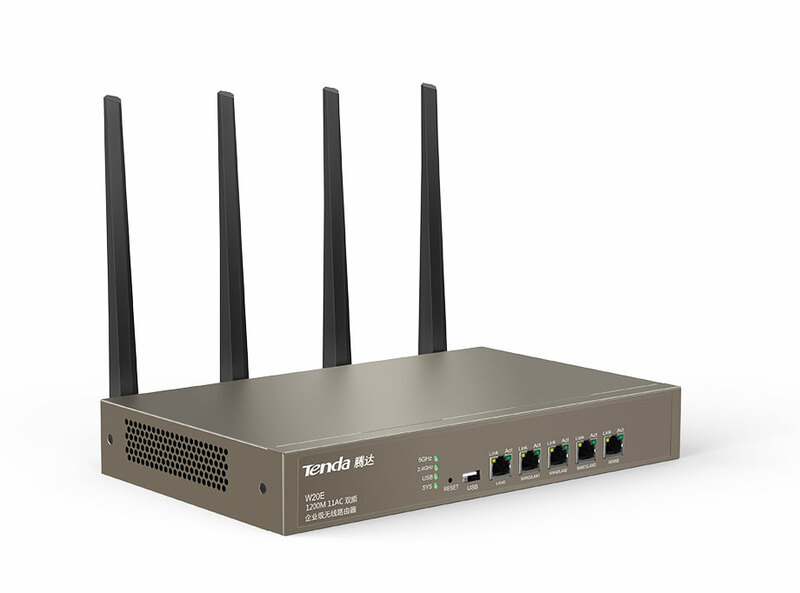 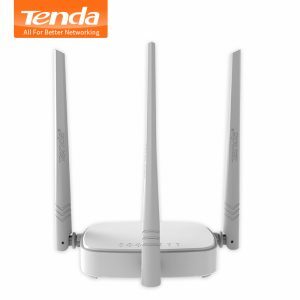 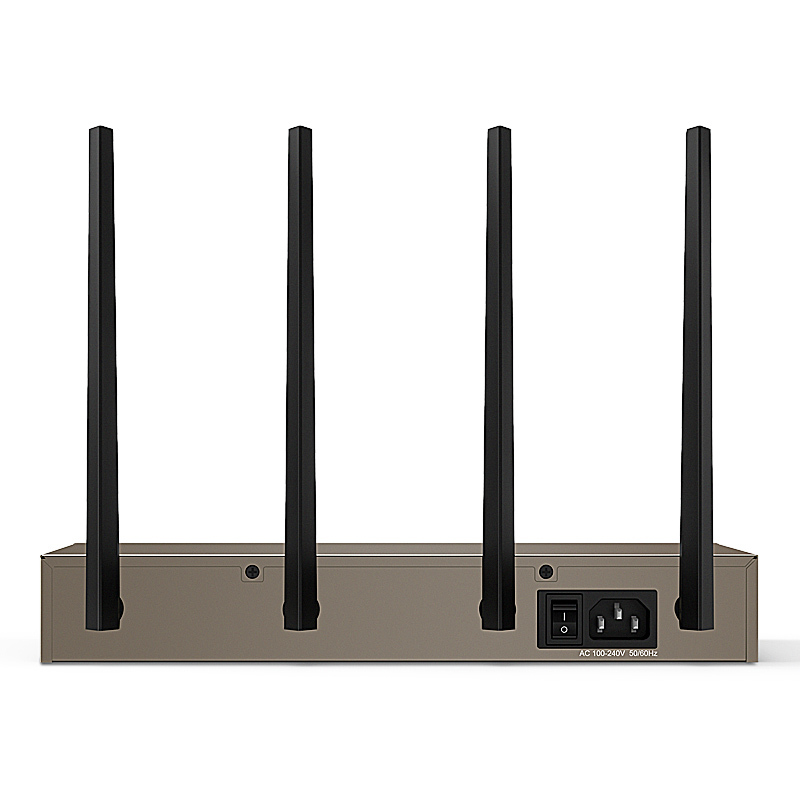 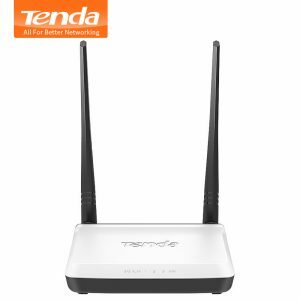 Buy Tenda W20E Smart 1200Mbps Gigabit Wireless WiFi Router 11ac 2.4G/5GHz Wi-Fi Repeater for Office / Internet cafe / Enterprise - In Stock Ships Today! 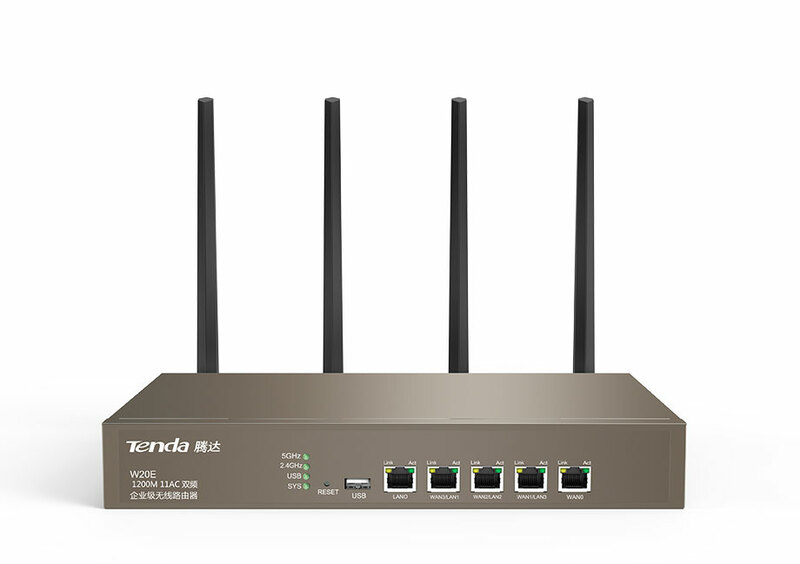 Purchase this product now and earn 433 Points! 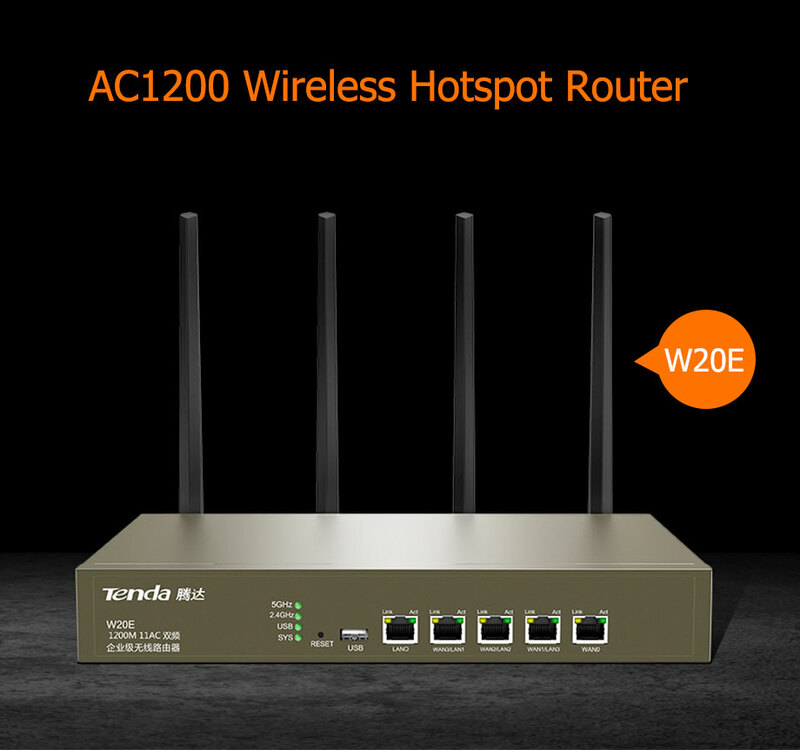 W20E based on Broadcom enterprise solution processor design, CPU super data processing capability, with large capacity 128MB memory / flash, supplemented by the latest operation optimization technology in Tenda, ensure W20E wireless machine 70 people can still run smoothly. 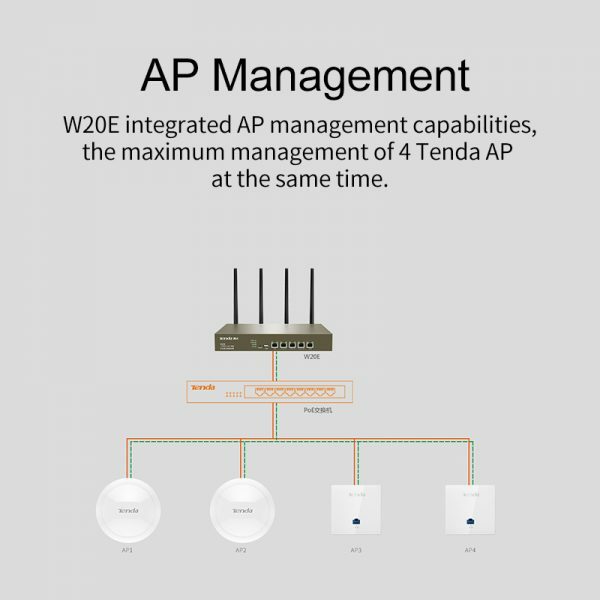 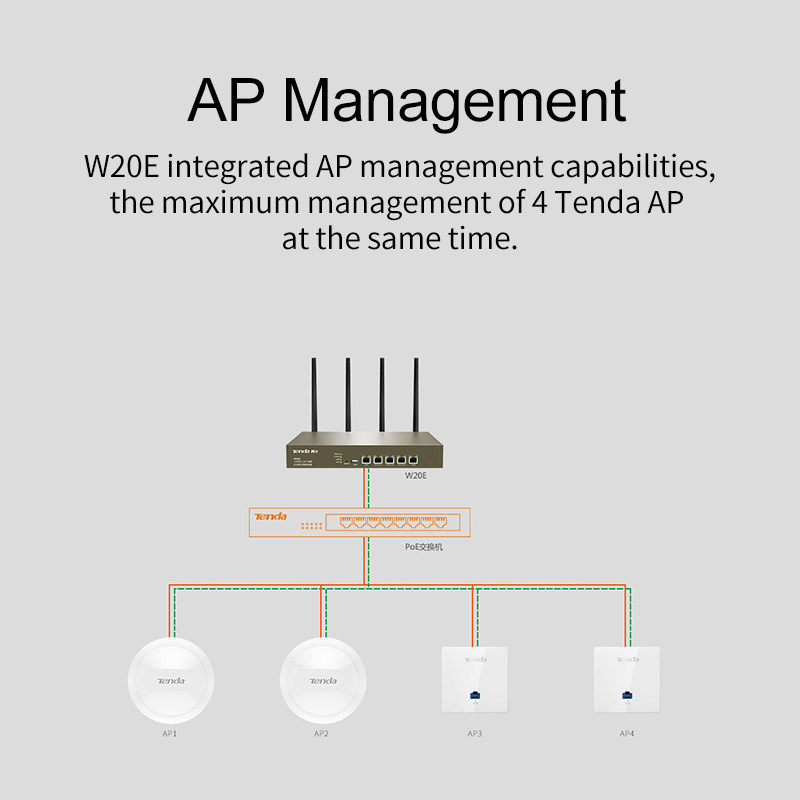 Integrated AP management capabilities, can manage at most 4 Tenda AP, eliminating the need to purchase additional wireless controller costs. 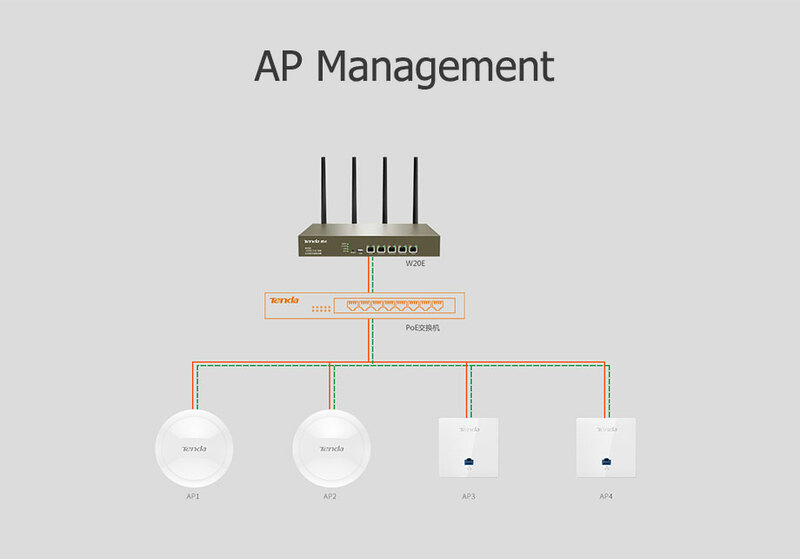 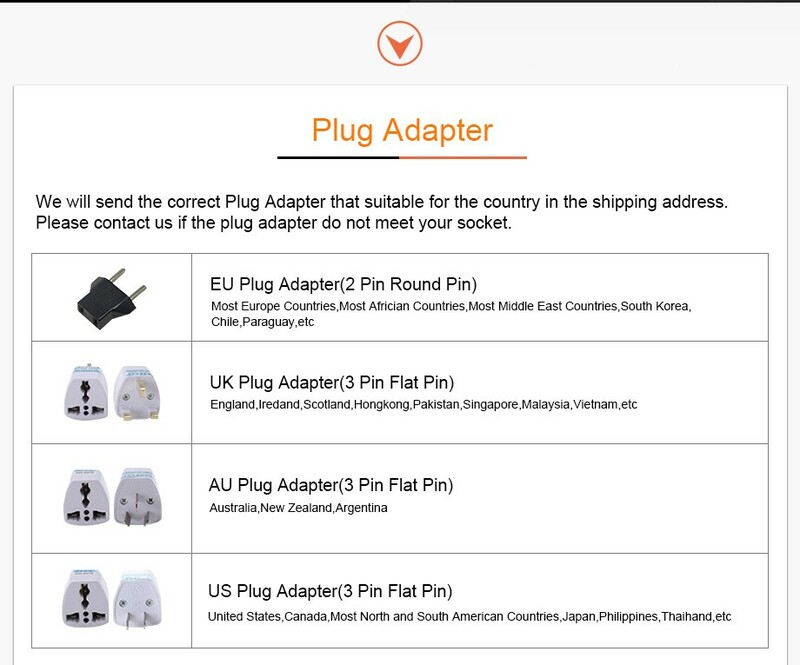 Make the network simpler and easier to configure. 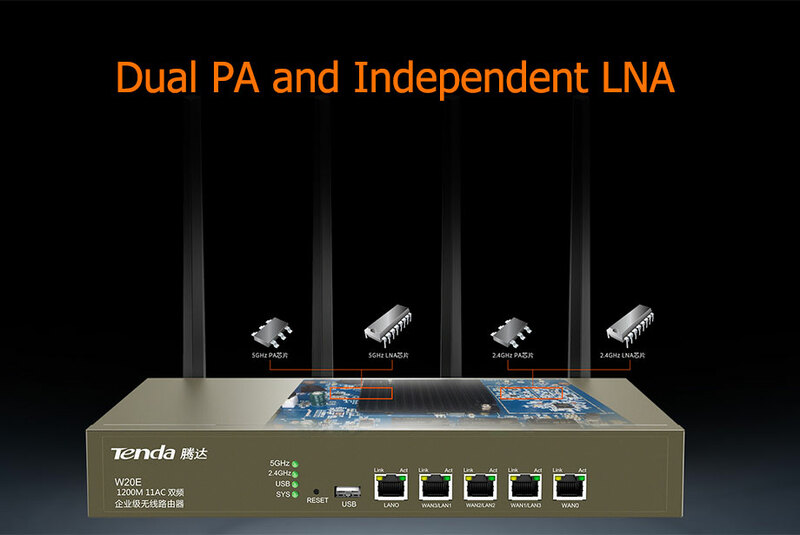 In order to enhance the transmitting and receiving capability of W20E, we have configured 2 high-power PA and independent LNA chips for each of its 2.4G and 5G. 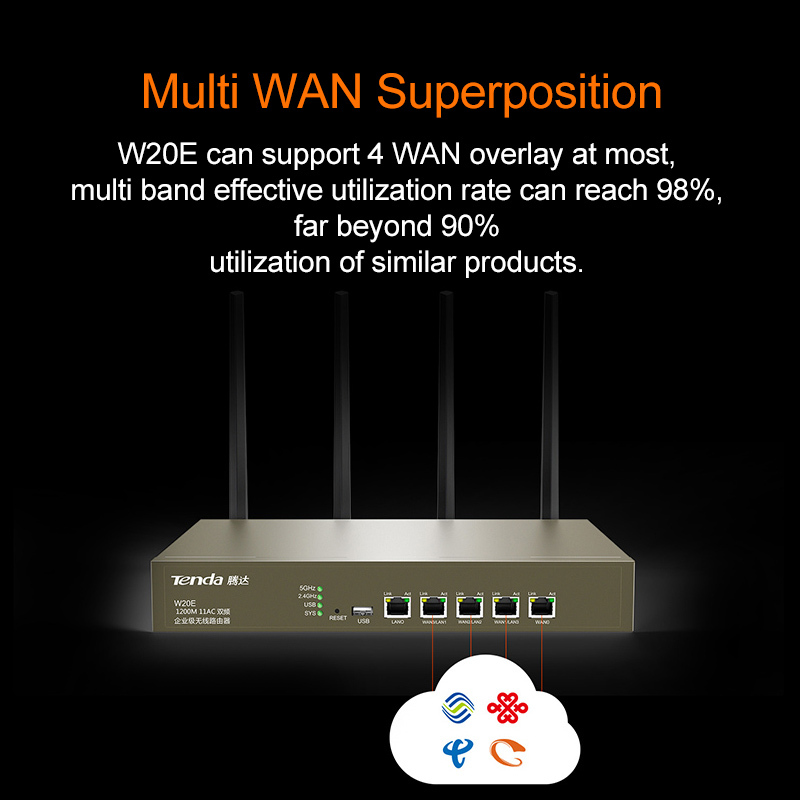 The highest transmission power of wireless signals up to 200mW, 5G signal, whether it is coverage or access speed is unexpectedly good, can easily achieve 600 square meters of coverage. 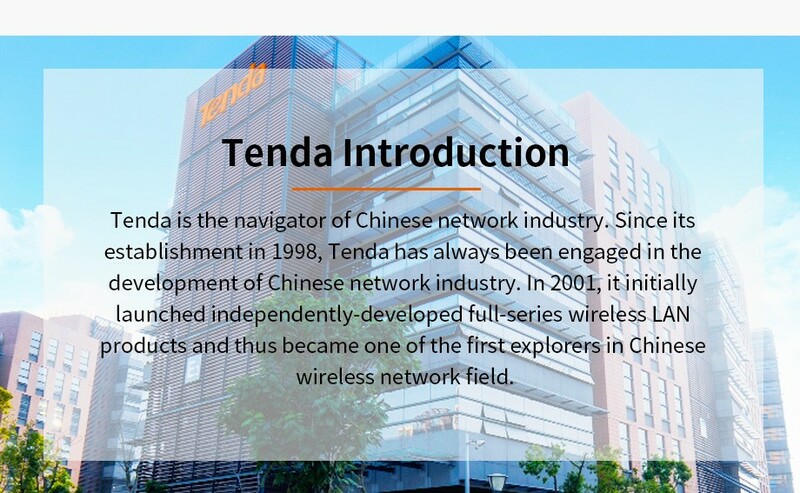 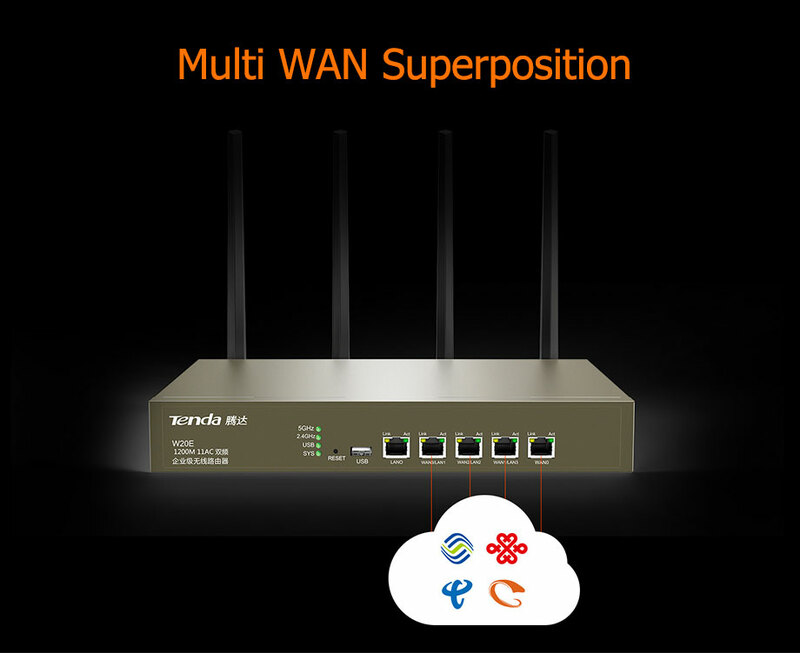 optimization technology in Tenda, ensure high qualified Wi-Fi connection. 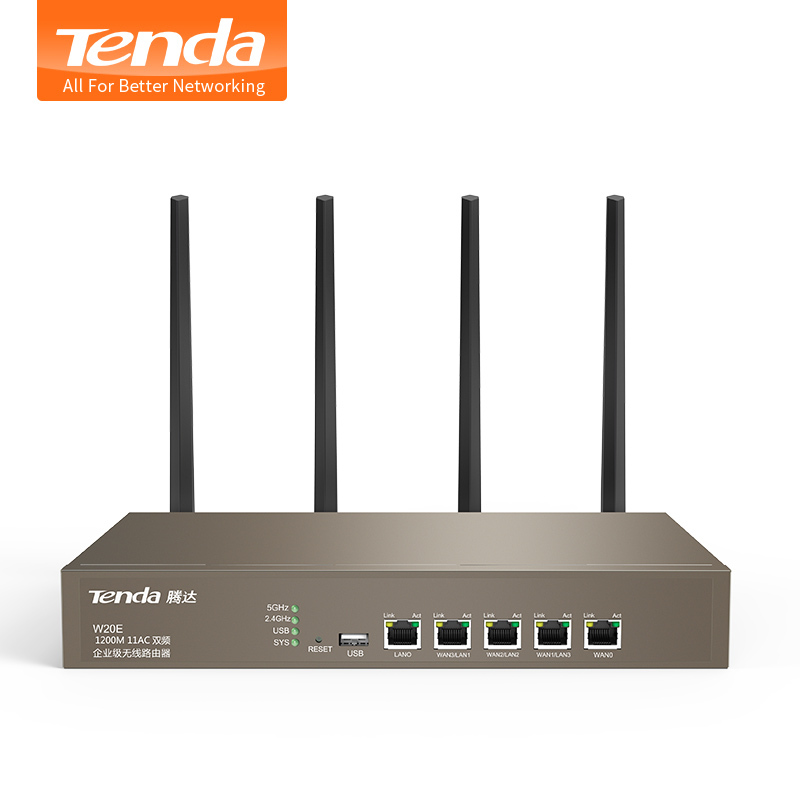 unexpectedly good, can easily achieve 600 square meters of coverage. 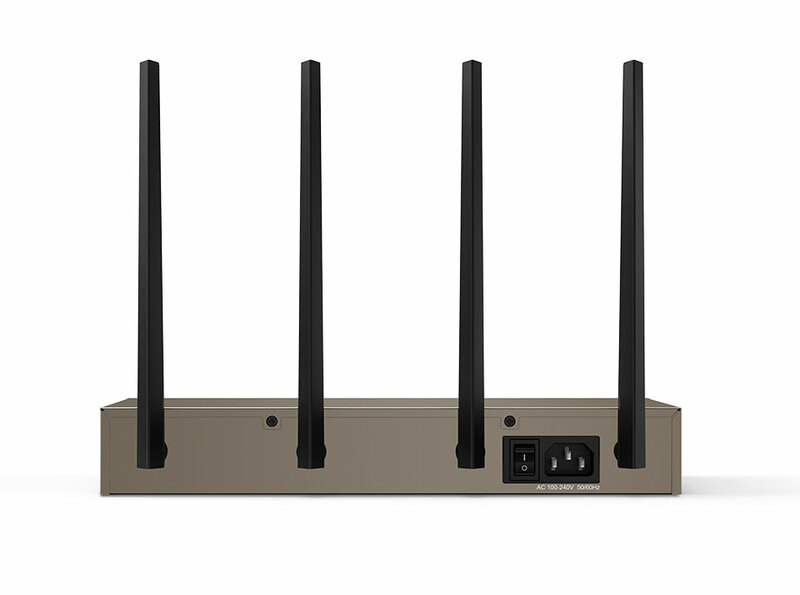 same time, eliminating the need to purchase additional wireless controller costs. Make the network simpler and easier to configure. 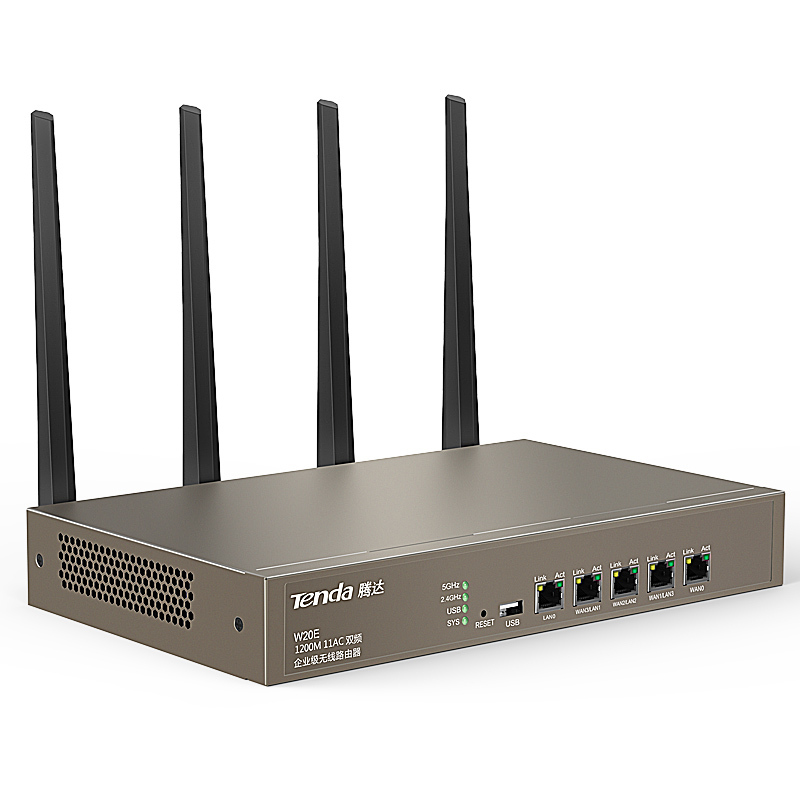 in the WAN port to ensure that the network is never offline. 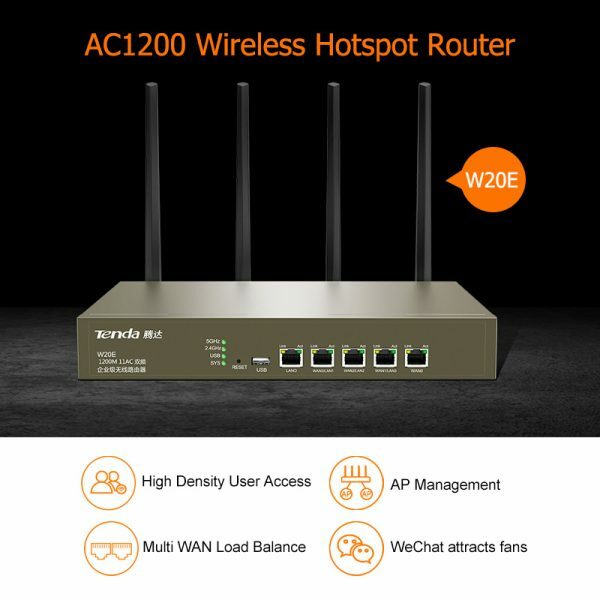 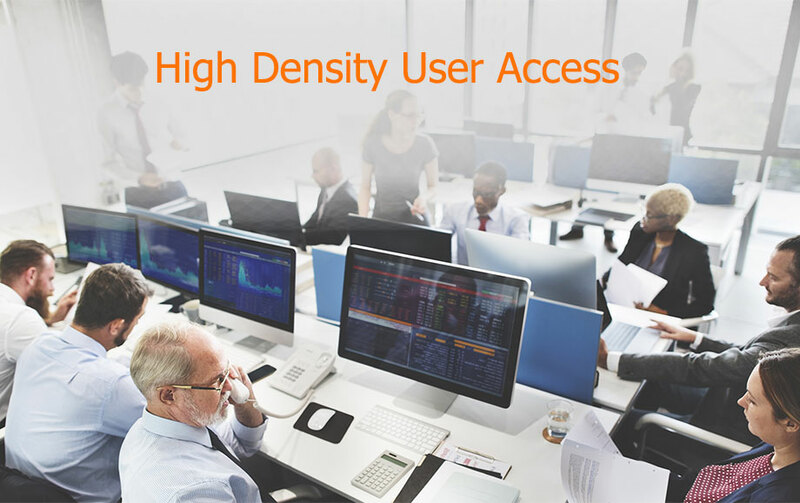 W20E features with smart bandwidth management. 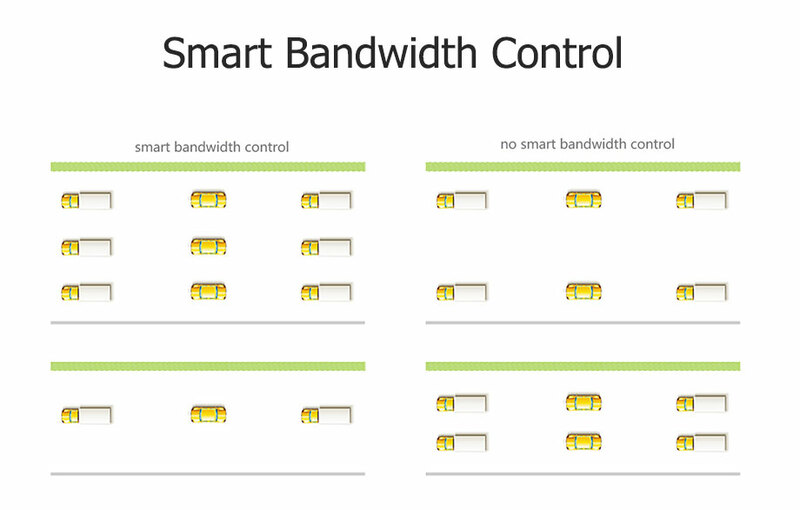 according to all users bandwidth usage to avoid bandwidth insufficient. 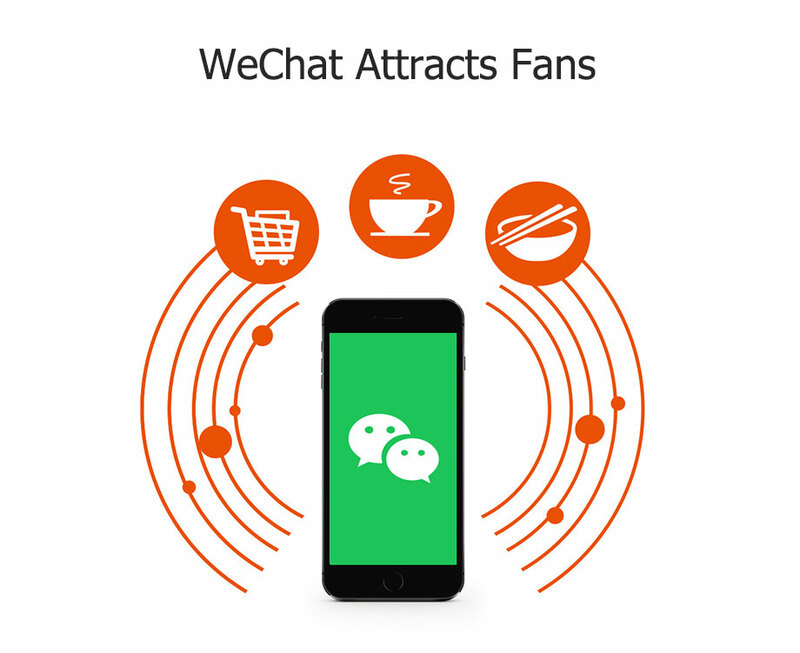 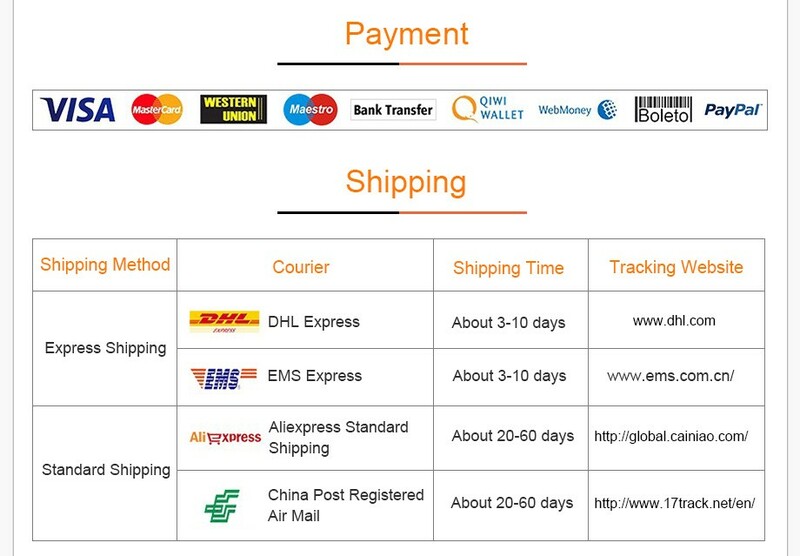 information to fans, so that your shop online and offline popularity.